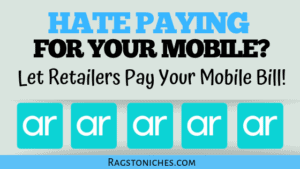 Rags To Niches - Let's Make Money! 40+ Ways To Make Money! Pin Me For Later :) Can you really make money on Pinterest... Affiliate marketing WITHOUT a blog? Well, I was surprised to discover that you … Read more about Pinterest Affiliate Marketing (Without A Blog!). Step-By-Step! It's difficult when people try and search for ways to make money online FAST... because that desperation leads to many falling for scams. Because, some … Read more about How To Make Money Fast Online – Right Now! You're looking up how to earn commissions online - and you have heard that you can, but you don't know HOW!... Well, if you're actually … Read more about How To Earn Commissions Online – When You’re A Newbie! 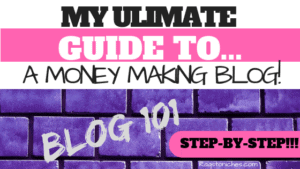 Pin Me For Later :) Welcome To My Step-by-Step Guide To Setting Up A Money-Making Blog! 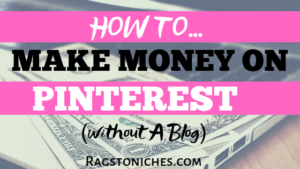 So many people still don't understand how bloggers make money, or … Read more about How To Set Up A Blog That Makes Money. An Ultimate Guide! 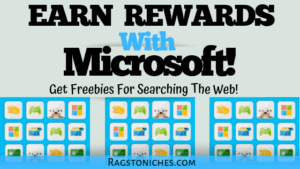 So, you're a kid or a parent whose kid is looking to earn some extra cash!? My son is desperate to start making money, he is just about to turn … Read more... about 11 Quick Ways To Make Money – As A Kid! Pin Me For Later :) Today, I wanted to share different ways to get free Starbucks gift cards! Partly because, it's become my new go-to place … Read more... about 10 Ways To Get Free Starbucks Gift Cards! So, you're hoping you kind ways to make money with no money online...? I understand that, I was in the same position when I started to look for … Read more... about 10+ Realistic Ways To Make Money, With No Money Online!